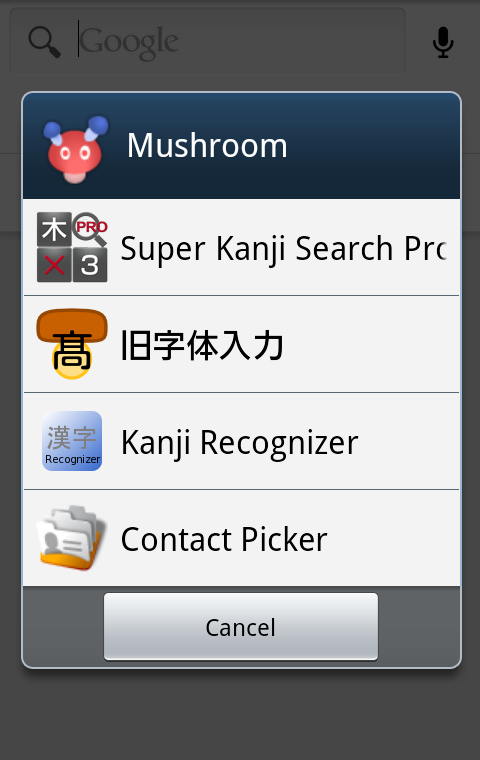 "Super Kanji Search Pro" provides extended functions, including the enhanced collaboration with other apps or websites. By tapping the original character at the upper side of the screen, the character is magnified and displayed in full screen. You can change and check the magnified character's font in real time. Also, you can save the magnified character as an image, and share the magnified character with other apps. 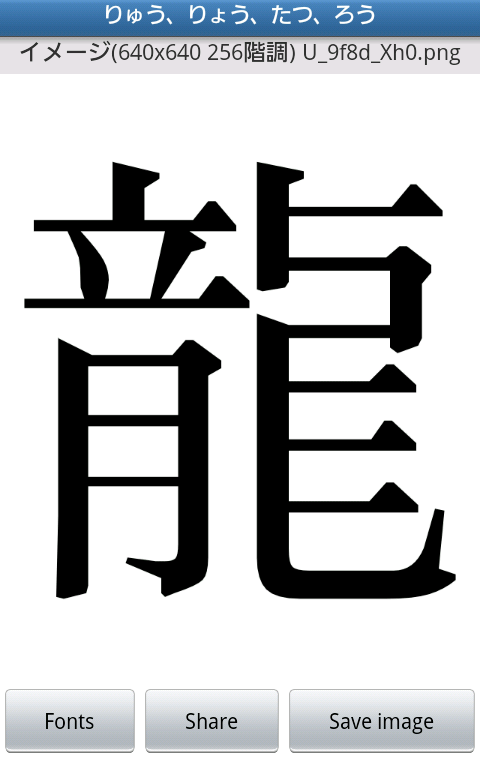 By visiting an online dictionary on the Internet, you can check the searched character by Super Kanji Search in more detail. Searching the kanji which is hard to find quickly from the conversion list (like variant characters for names of people or places) by Super Kanji Search, you can input the kanji to the other apps.